I have a new series I will be posting regularly, "I like I want I need". It is a good way for me to prioritize what we really need around here since I tend to believe I need something as soon as it catches my eye, plus it's a fun way to share some prettiness with you. Maybe I won't feel like I need everything if I have to categorize things (and if I know somebody out there may have the perfect spot for it which allows me to live vicariously through you). Links to the products are directly below the photos. 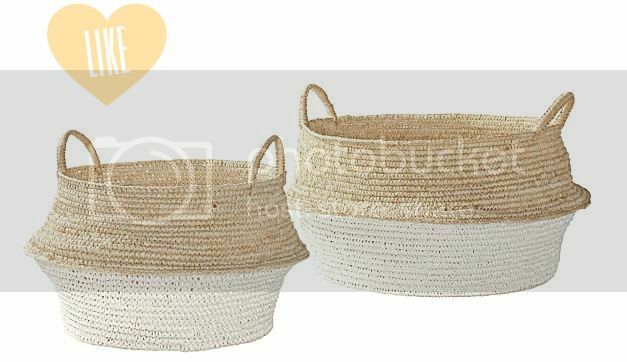 I really really love this set of baskets from Serena and Lily, but alas, I have a good basket collection already. Otherwise I would pull the trigger in a heart beat! 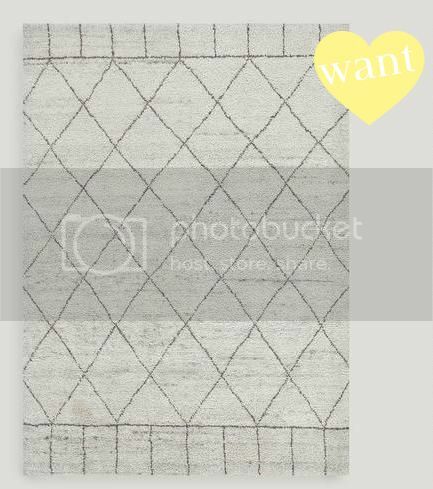 This rug may migrate over to my need category eventually. It is a really affordable version of the beauties I've seen in countless shelter mags. And the neutral pattern is perfectly subtle. A very perceptive commenter pointed out last week that our new dining table is being blocked by the upholstered chairs. I totally agree, and would love to add a bench to one side which also provides me with more chairs to place on the other side (our style of dining chair from Ikea is no longer the same dimensions and I don't feel like buying all new chairs... so a bench will allow me to use one or two on the opposite side as well). 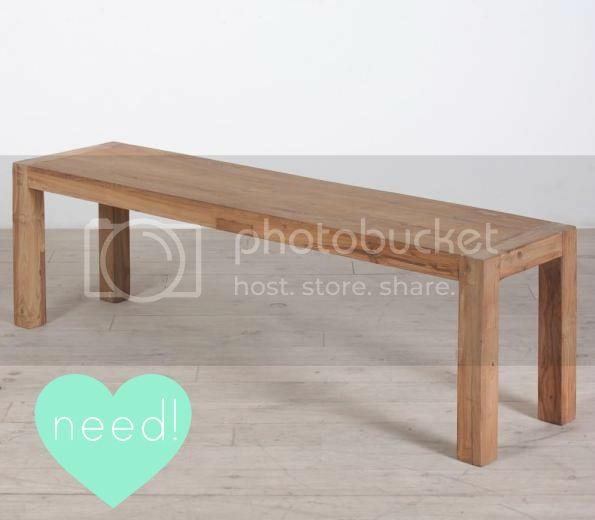 This bench is really versatile and will let the table take center stage.